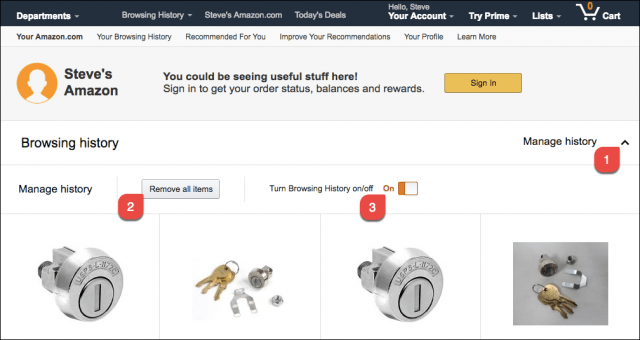 Did you know that Amazon keeps a list of every item you’ve ever viewed on its website? Here’s how to manage the history on your account including how to disable history or remove items from it. Did you know that Amazon keeps a list of every item you’ve ever viewed on its website? Although handy if you like to go back and browse items from the past, it could also spoil a surprise gift or get a little embarrassing, depending on the item. Whatever the reason, Amazon includes a simple process to manage your history/privacy on Amazon including turning off the feature or removing individual items. Start by heading over to the Amazon.com Browsing History Page. Delete individual items from the history by clicking the Remove button. If you’re in the UK, use this link instead. Are you in the UK? Use this link instead to access your Amazon Browsing History. Clicking on the Manage History drop-down (1), you can also Remove all Items (2) as well as Turn Browsing History on/off (3) as shown below. 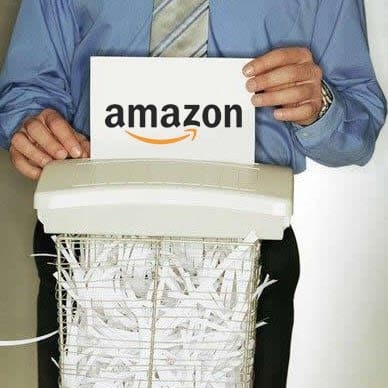 According to Amazon, when you turn your browsing history off, they will not show things you click on or searches you make from the device where you disabled your browsing history. All in all, a fairly straightforward process if you know where to look! Not true, when you log back in, Amazon turns it back on! I have to constantly remove and turn off! Very annoying. Stay tuned Ann – I’m working on an awesome article which I’ll be publishing in the next few days which will explain how to get around Amazon’s new policy re: Price Change refunds. More details to follow! I am not talking about Price change refunds. It’s about the browsing history that keeps being turned on! read Steve Krause’s statement! He is first talking about Amazon browsing history and then changes to “refund” ! What gives? WOW. I never knew Amazon kept a browsing history? Yep, everything I ever looked at on Amazon is there! Will stay tuned! Thank you! Steve, Austin, please answer Ann’s question! About Amazon turning back on the browsing history. It’s a real pain to keep a surprise gift from my wife. Regardless of your comments to the contrary, I suspect there is no permanent way. Thanks, Jack. Just like everyone else, everyone want to know what we do, regardless of misleading instructions! It’s worth noting that this “turn of browsing history” feature does NOT work properly. I have mine turned off, and every now and then (like 1 out of 3 times I log into Amazon), I scroll down to the bottom of the home page and lo and behold, there are my recently viewed items. I have to go in and delete them manually. This is horrible if you use the browsing history disable feature to, for instance, hide embarrassing items that you’ve looked at for when you’re looking at the site with someone else. Having such a privacy feature break like this is inexcusable, and yet it’s been like this for months. I even reported it to Amazon and their support guy sent me a canned reply like “If you want to turn off your browsing history then do this….” They don’t even read support message properly, they just send out whichever canned reply seems to fit the most with the title of the message. Amazon’s site has deteriorated a lot recently. For instance, they’ve removed the option to sort reviews by most helpful, so you have to wade through dozens of “Great product, will order again” type reviews to find the ones which are actually helpful. Can’t believe someone actually signed off on that decision, it just boggles the mind what goes on in corporations like this. Not everyone uses the .com site. Please include instructions to get to the page, not urls which don’t help anyone outside of USA (and may become invalid anyway). If you’re looking for the same spot on the Amazon.co.uk site, here ya go: https://www.amazon.co.uk/gp/history/. 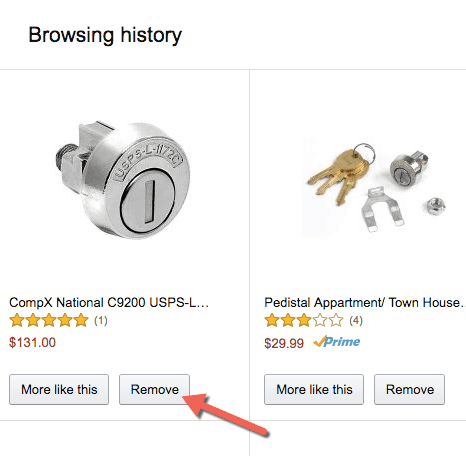 From there you can delete items individually from your Amazon Browsing History (button on each item), Click the button “Remove all items” or, check the toggle button to Turn off Browsing History on/off. Appologies, I didn’t see the UK link. Actually, I updated the link after your comment so all good! Thanks for the comments. I am having the same issue. How can I turn off the browsing history permanently?